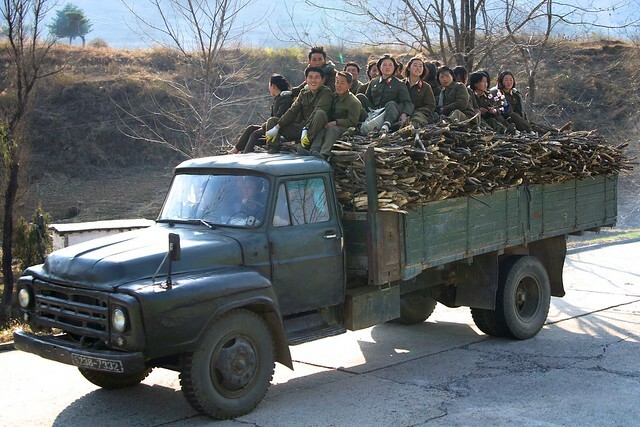 A rare photo from the North Korean countryside – on the road between Wonsan and Pyongyang, a troop of soldiers return to base with a truck load of firewood. I love some of the small details I captured here: the girl in the back holding a branch with flower blossoms, a smile on the man in front, and girls curiously checking out the tourist bus as it passes. Read more about this experience and many more like it at Joshua’s Spodek’s Blog. 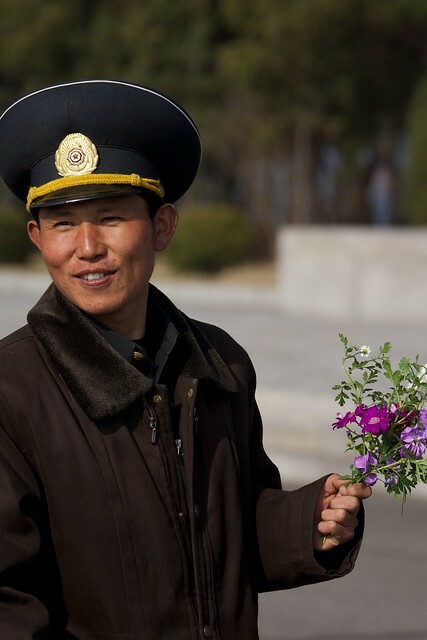 I plan to post one of my North Korea pictures each day between working on longer text heavy posts. But how to decide what picture to post? 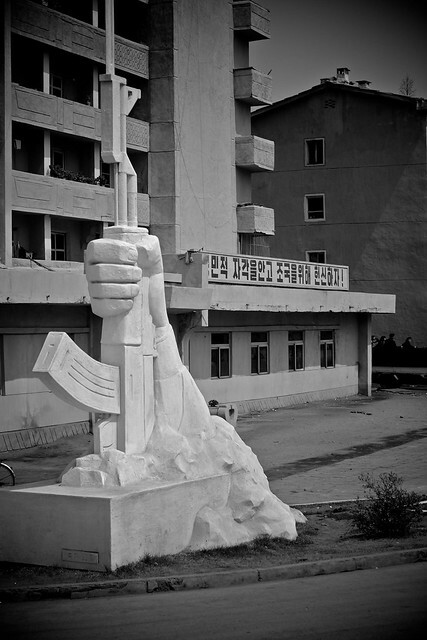 I’m going to try letting the greater public decide by posting the previous day’s most viewed DPRK pic off my Flickr site. 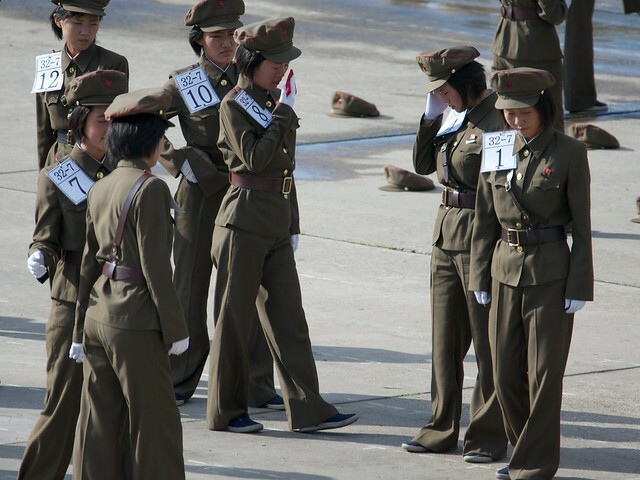 At 18 views yesterday, below we have a group of young ladies in uniform taking a break from marching practice. I don’t know why they had been marching, just because they are in uniform does not mean they are soldiers, perhaps they were getting ready to perform in that nights Arirang Mass Games performance.